Hello! We’ve made it to Day 7 a.k.a a full week of Blogmas! I won’t lie I know what day of Blogmas it is but I’ve actually lost track of what day of the week it is, I’ve been going with Thursday for the past 2 days. 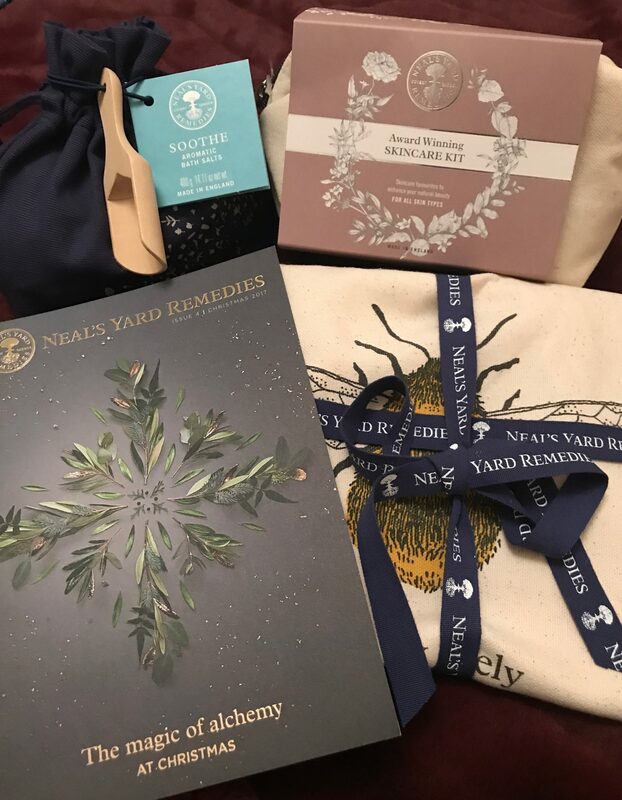 Anyway moving on, last night (which was Wednesday btw) I went for a lovely evening at the new Neal’s Yard Remedies store which has recently opened in Meadowhall. 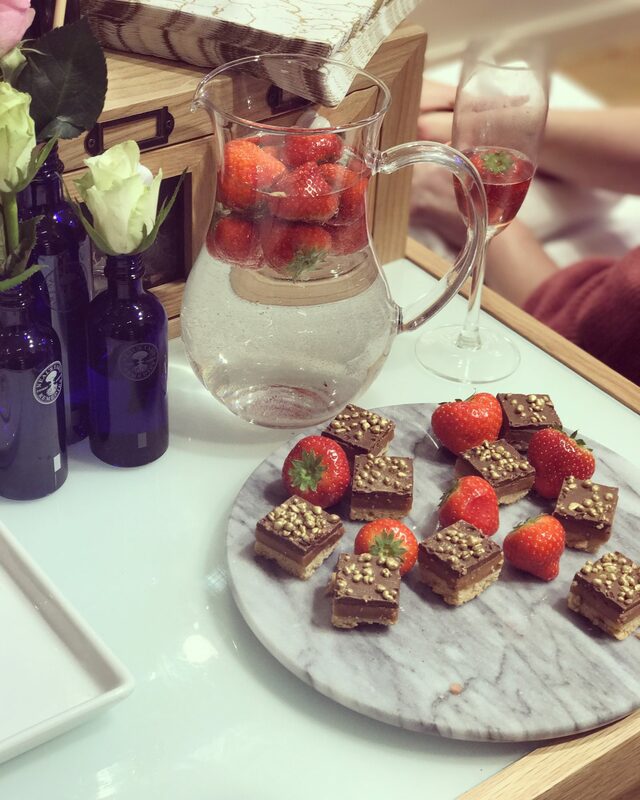 Myself and a few other bloggers went to learn a bit more about the store and their products whilst enjoying a few nibbles and drinks. 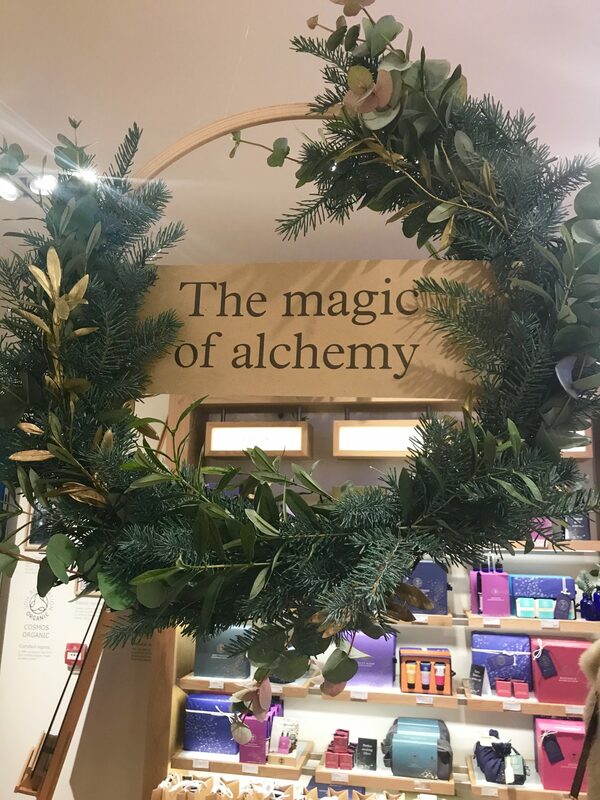 The store was absolutely beautiful and it smells AMAZING!! 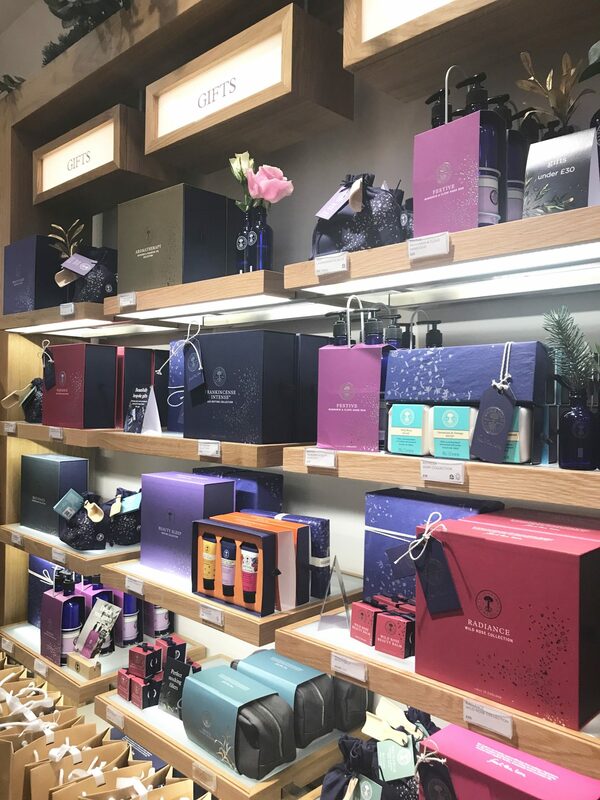 The fabulous thing about Neal’s Yard is that it’s all based on natural and organic ingredients and best of all, their products are cruelty-free and many are even vegan! So take note if you’re gift shopping for the cruelty-free lover in your life or even if you just want to treat yourself to a bit of a pamper. 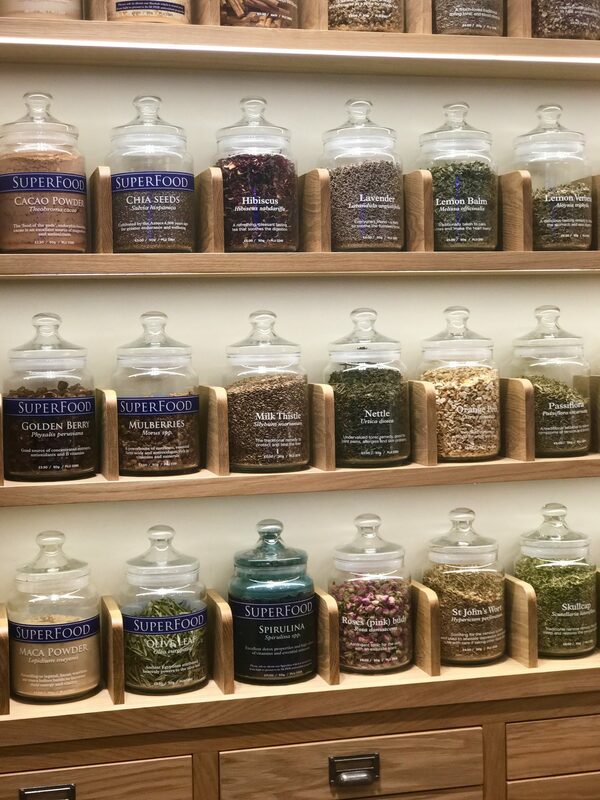 The store sells skincare, essential oils, candles, bath and shower goodies and also herbs and spices galore so there’s plenty to nosy at! 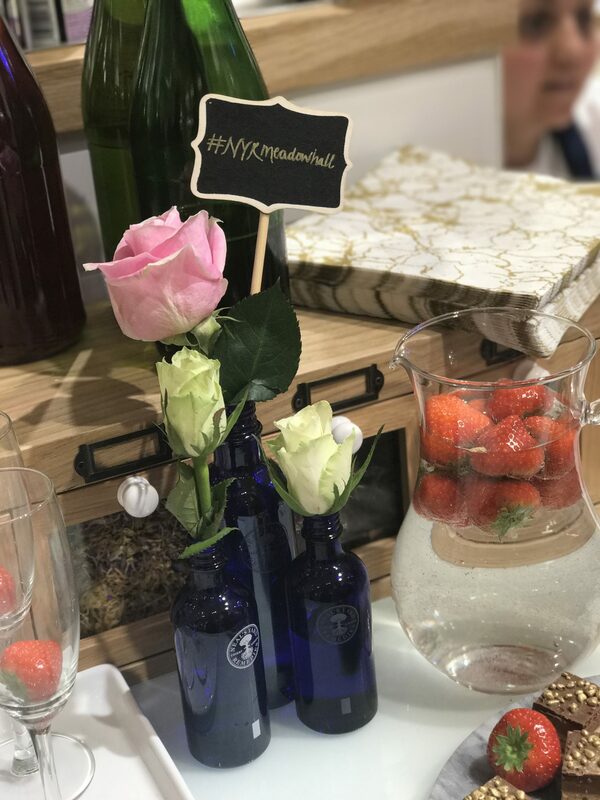 My favourite products I saw included the Wild Rose Beauty Balm which is apparently amazing for use on the face and basically anywhere else on your body which might get a bit dry in the Winter months. 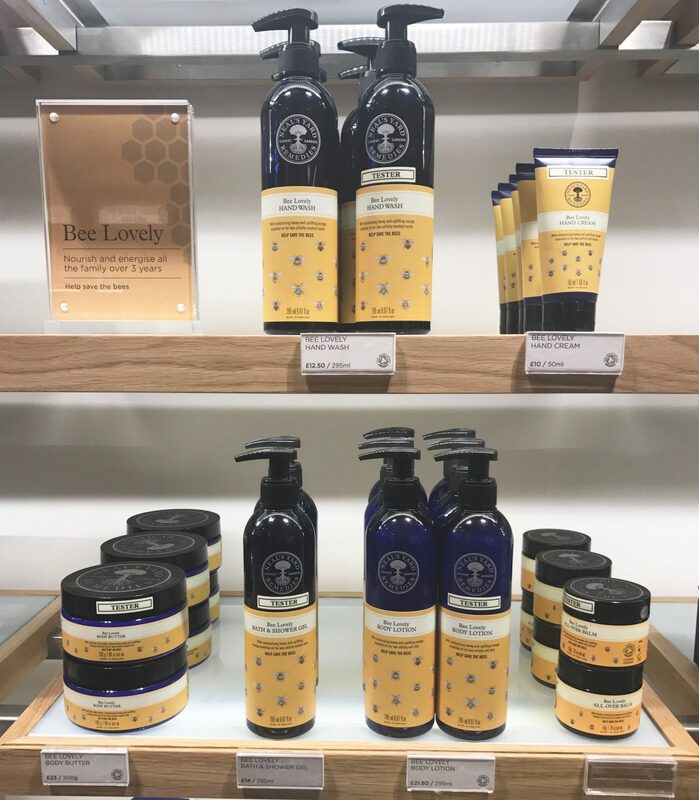 I also liked the look of the Bee Lovely Range, which is a collection containing beeswax and honey and some of the money gets donated to bee-friendly charities- not to mention it smells like a dream. Shelby, one of the lovely girls who works in the store gave me a hand massage too using a couple their products, I didn’t know I needed hand massage until I got one but my gosh it was good! 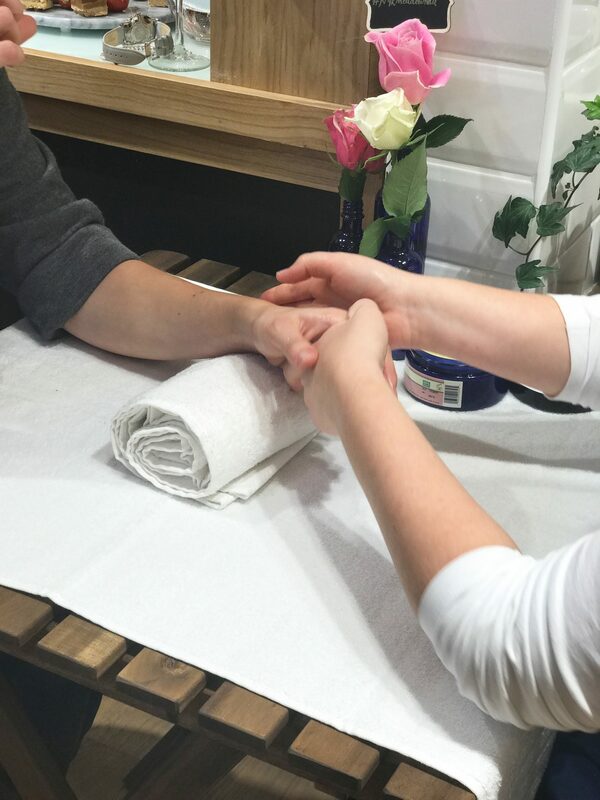 Not only was it super relaxing but my hands feel sooooo soft and my usually scraggy nail beds, which have suffered years of nibbling are looking rather respectable too. The ladies who organised the event very kindly gave us a goodie bag too which contained some Aromatic Bath Salts which smell incredible! I think I’ll treat myself to a nice relaxing bath when my assignment has been handed in tomorrow because I can’t wait to use them. I also picked up a couple of additional bits, firstly an adorable Bee Lovely Tote Bag, because 1) I love totes and 2) I love Bees and we need to help them out. Then secondly I also grabbed the Award Winning Organic Skincare Kit which contains miniatures of some of their best selling products, all of which I am keen to try. There a few of these kits available depending on what would suit your skin type. I could have picked up so much more but with Christmas approaching I decided to be good but I think a trip will be due in the New Year. So there you have it, a bit more of an insight into one of Meadowhall’s newest stores, whether you’re looking for yourself or for a friend I’m sure you’ll find what you’re after. Let me know in the comments if you use any of their products you think I should try out! Thanks for reading.